Plastic Injection Molding & Tool Building since 1946! Crescent Industries is an employee-owned custom injection molder providing an integrated single source solution for your custom plastic injection molded components utilizing their advanced engineering capabilities, which is the core of all processes. Crescent’s capabilities allow them to mold a comprehensive range of engineered and commodity grade resins. They currently serve the medical, pharmaceutical, dental, defense, safety, electrical/electronic, aerospace and OEM/Industrial markets. We utilize multiple facilities designed for various applications to provide customers with an integrated single-source solution. In addition to our state-of-the-art, highly-automated manufacturing facilities, we’re equipped with both horizontal & vertical/vertical injection molding presses ranging from 35 to 385 clamping tons with shot sizes from .25 to 42.4 ounces. Our engineers are trained in The Scientific Approach to Injection Molding and are certified by RJG & the Global Standards for Plastic Certification. We establish robust processes utilizing scientific injection molding principles and decoupled II and decoupled III molding. We have a complete tool-room for all your needs and offer complex & high-precision Swiss-screw machined components & production machined components. In order to complete your project and solve complex production issues, we also offer several value-added-services that can be performed within our ISO 7 or ISO 8 Clean Room environments. Check out how Crescent Industries has gained the status of THE preferred injection molding partner for various industries. My personal experience conducting business with the Crescent Industries team has been extremely positive and productive…. I attribute this to the dedicated people willing to provide that extra effort to make the customer satisfied and well informed. Truly a family experience rather than customer experience… exceeding my expectations on a regular basis. I would recommend Crescent Industries to anyone wanting premium service, expertly built plastic parts and outstanding value overall…. Due to circumstances beyond our control we had to move 47 tools. The components off these molds supported millions of dollars a month in medical device sales. We were afraid that we would go into backorder, losing sales and customers. After meeting with several respected molders we decided to transfer these molds to Crescent. We’re so glad we did! Demonstrating across-the-board competencies, they managed every aspect of the project, taking the worry off our hands. I was particularly impressed with the robustness of their Quality systems. Quicker than we could have hoped, they had our molds inspected, sampled and validated. Our production hardly missed a beat. Crescent is a supplier with whom we’ve built a strong and solid relationship with over the years. In addition to current business, we turn to them for new projects, because of their proven service, prompt reply and on-going support. Maintaining uniform wall thickness to minimize sinking, warping and improve mold fill. Using generous radius at all corners to avoid sharp corners that increase stress concentration which can lead to part failure. Incorporating sufficient draft angles for easy removal of the part from the mold. Using ribs or gussets to improve part stiffness. Our ISO 13485 & FDA registered facilities include Class 10K & 100K clean rooms that allow us to handle the most complex Class I, II, III precision medical components and devices. Our ITAR Registration & FFL allows us to work with a wide range of products and assemblies in the most sensitive applications. Whether it's a simple component or part of an integral system. 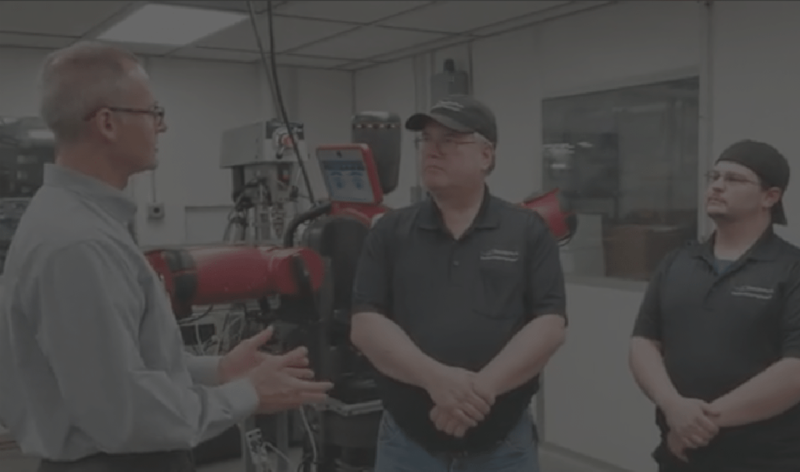 Our extensive value-add capabilities provide competitive solutions for your supply-chain needs by implementing QRM, collaborative robots, and complete automated work cells. We offer the most comprehensive range of value-added-services and secondary operations to solve the most difficult product assembly projects and solve complex production issues. All of our kitting & value add operations can be performed (if required) within our Class 10K or Class 100K Clean Room Facilities. Engineering is at the core of our business, our engineers specialize in assisting customers through all product stages from conception into production. Our integrated single-source solutions provide our customers with complete Program Management Offices that offer a vast range of Design & Development services to manage the complexities of your project. Our journeymen mold builders produce injection molds that provide cavity-to-cavity consistency and repeatability by utilizing high-speed CNC mills, die-sink EDM, and wire-sink EDM. Our best in class high-precision Swiss-Screw machined component capabilities can be used as either a finished product or as inserts for the injection molding process, allowing us to help you consolidate your supply chain. Our ERP system (IQMS) gives us the ability to provide a customer portal capability which reports in real-time. This gives our customers the ability to view the status of their project at any given time. Customers may place orders, view product availability, check on order status and shipping status, view production information plus run customer specific reports. Offering KANBAN shipping of stocked inventory and Just-In-Time Delivery from blanket orders to delivering your parts as you need them which is all tracked and managed through our ERP system. We have our own delivery trucks, so we offer a no charge for regular scheduled deliveries within a 100 mile radius. To be your committed manufacturing solution, our team can support every aspect of your custom injection molding and business needs. Our Project Management Office (PMO) manages new mold builds, tool transfers, and new projects. They examine the entire scope of your project, timeline & cost management, material selection, design & development and overall integration with your engineering team. Essentially, you receive a dedicated team of professionals that collaborates, communicates, coordinates and executes. In addition, we have dedicated R&D injection molding machines to aid in initial sampling and validation to accelerate all phases of your project and transition into full production.